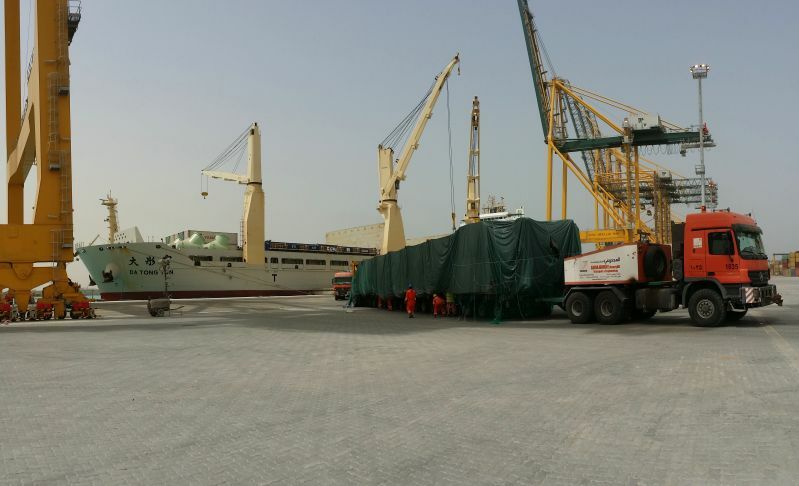 King Abdullah Port, owned and developed by Ports Development Co., recently received large equipment constructed by Samsung Engineering, which are 10 giant units as part of the first shipment of a total of 94 units, each at approximately 30 meters length. The received units weigh at an astonishing 20,000 tons, and this handling is considered as a unique leap in the works of freight and handling services at the port. Samsung Engineering came to select King Abdullah Port to import the equipment due to its unique transport network, speed and world-class standards that allow the entry and exist of such large and heavy machinery, with large capabilities, making King Abdullah Port one of the most vital large ports in the region that can handle these types of equipment. These imported equipment are heading to be installed at Rabigh 2 power plant, a JV project between Samsung Engineering and Saudi Electricity Company to generate 2,000 Megawatts of electricity in the western region, enhancing the overall development roadmap in Makkah Province.